Living room, kitchen, dining area, family bathroom. 3 bedrooms, (1 double and 2 twin), large balcony, en suite to the master bedroom, family bathroom. Private pool, barbecue, terraced gardens. Villa Levanda can sleep up to 6 people. 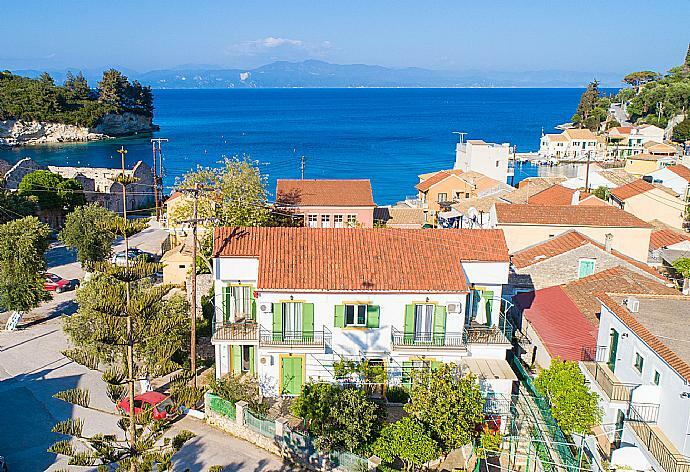 Villa Levanda has a large pool with surrounding sun terrace and overlooks the Ionian sea across to the mainland and Corfu. The pool also has a child section. 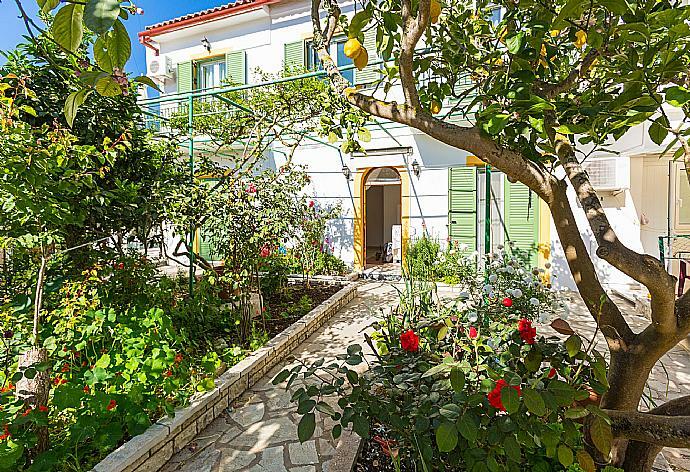 Villa Levanda has a beautiful terraced garden with orange, lemon and fig trees, bougainvillea and vines. A lovely villa with loads of outdoor space and a magnificent pool. The views are excellent and the bbq area/pizza oven are an absolute luxury. Inside is spacious too and in 1st class condition. 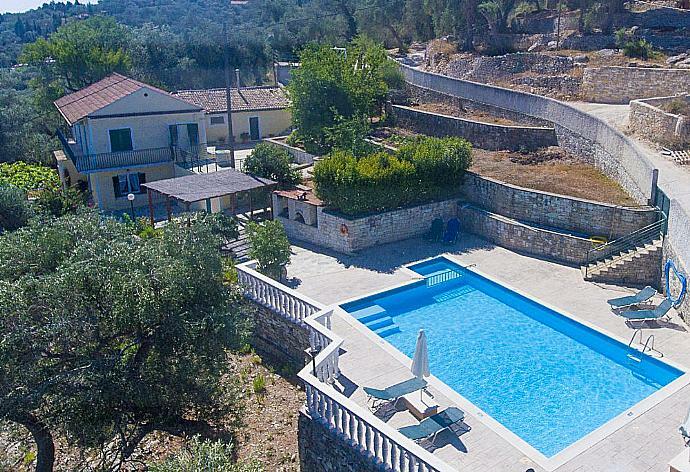 Villa Levanda is a true gem for a somewhat self supporting traveller (you need a car to stay at this house). The pool is incredible and huge! The views are breathtaking and the layout of the house is wonderful. We had an amazing stay at this property. The care of the pool and the house was great. We felt safe and rested after two weeks. We would happily return. We were a group of three friends staying at Villa Levanda for five nights. It was great to have the three bathrooms which were all spotlessly clean on arrival, The owner visited mid stay washing bathroom floors and leaving clean towels. The three bedrooms are all a good size, I had the double room and was slightly dissapointed with the bed linen which was a very well used multi coloured brown and orange, Villa Levanda was my 5th Agni holiday, I was quite surprised there was no file but just two laminated sheets it would have been very helpful to have had details of directions down to loggos harbour/village. As we had decided not to have a car and the Villas position is set in beautiful olive groves, but at the top of a hill with a 20miniute walk down. We had arrived by taxi and was unsure of our whereabouts on our first day, and which direction to walk in for taverna and village. In the past I have always found the information file to be very useful not only for information on places to visit but also contact numbers for llocal supermarket etc. Apart from these points our stay at Levanda was very peaceful and enjoyable and we will be looking to book our next holiday with Agni in the near future. Many thanks to you all. This is the third time we have stayed at villa Levanda, and it was excellent as usual. Irene kept the place spotless, and was very welcoming. The only thing I would say is the beds, which have solid frames top and bottom, are a little short. I am 6 feet tall and my son is now 62" - we both found the beds a little short for comfort. This is our second visit to this villa. Overall we love it!!! So peaceful and well equipped. Pool is fantastic! We were absolutely delighted with the property. It was much bigger more spacious than we were expecting. It is to a very high standard. The pool is fantastic. The view is amazing. The only thing was the walk down to town is 15 minutes but the walk back is more like 25 as it is quite steep but if you want the view its worth it. Perhaps an instruction to go right out the gate by the pool too as we went left on the 1st night it took ages but we were soon put right by the locals in the supermarket. They deliver for free which is worth noting too. It was brilliant and more than lived up to expectations. Holiday was fabulous, amazing location and great views. Thoroughly enjoyable. All the info about Paxos on your website is very helpful. Thanks for a great holiday. Overall.... fabulous! Would love to return as soon as possible. We had a nice time at Villa Levanda at Paxos and we would like to travel with Agni Travel again next year. 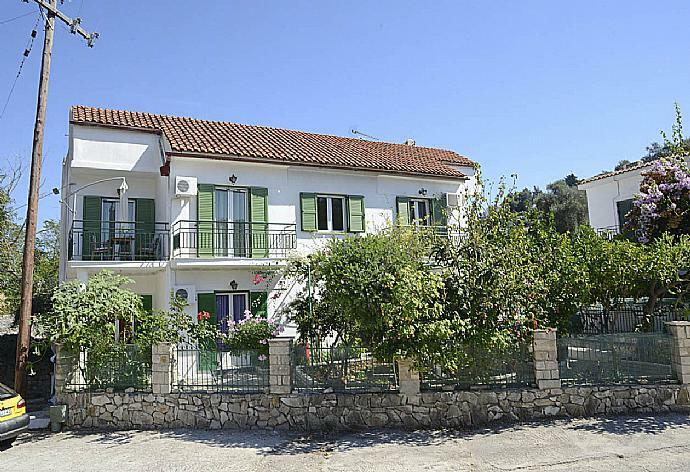 Levanda is a beautiful villa in a great location with wonderful views of the sea and olive groves. 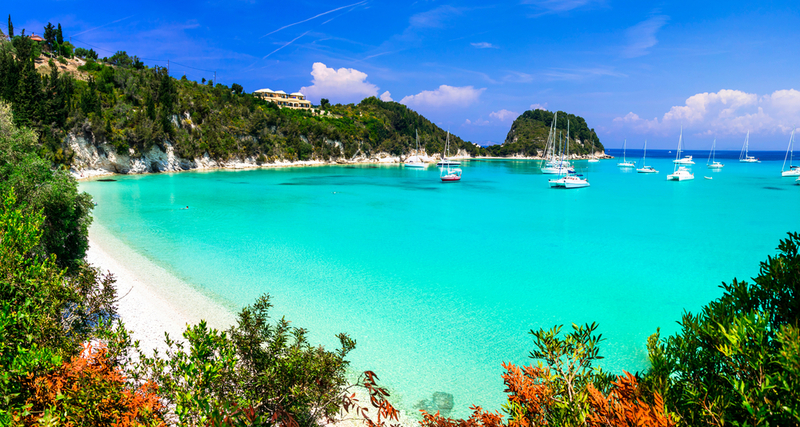 It is 3 minutes by car to Loggos and you're only really 15 minutes from anywhere on the island by car. Theres plenty of outdoor space to eat and relax away from the pool area too which is great if you're looking for some quiet relaxing holiday time. Highly recommended.